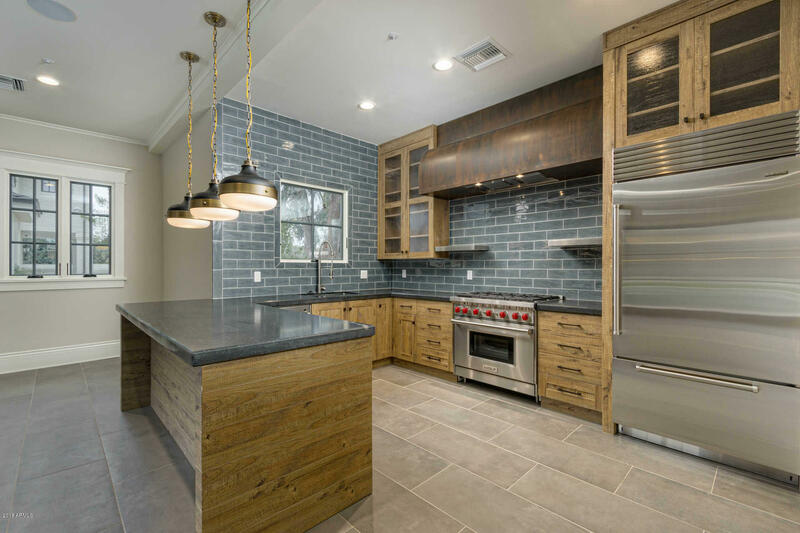 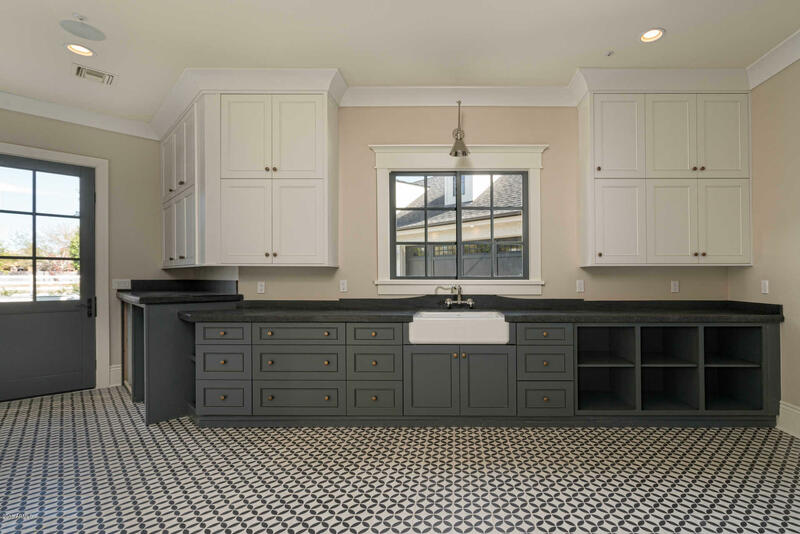 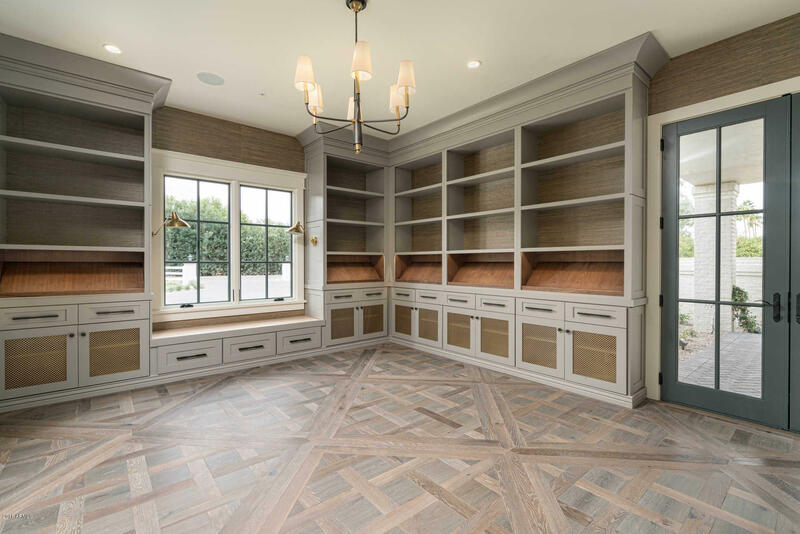 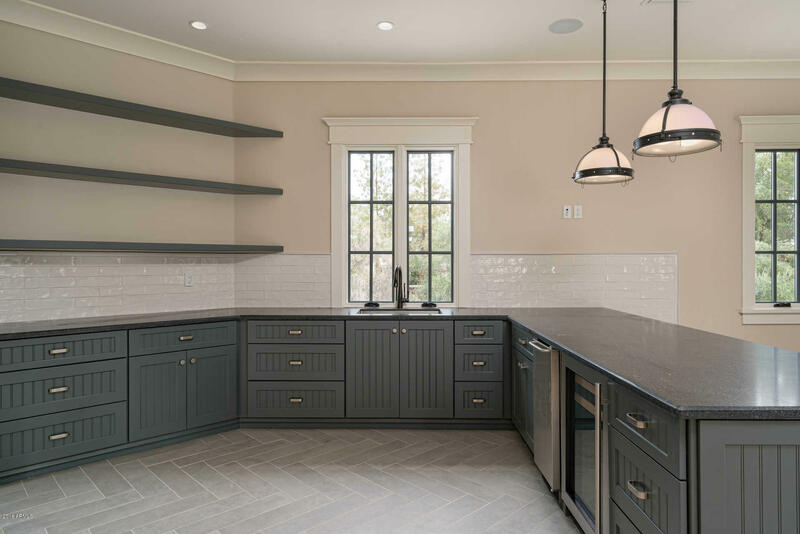 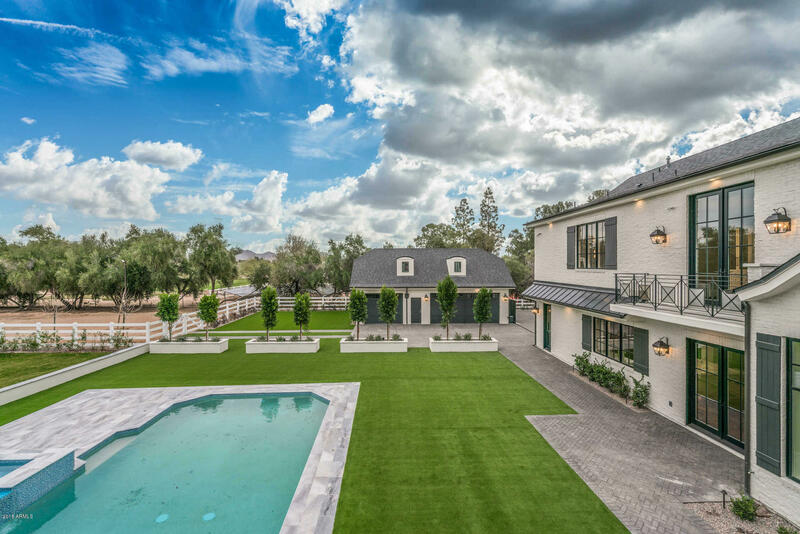 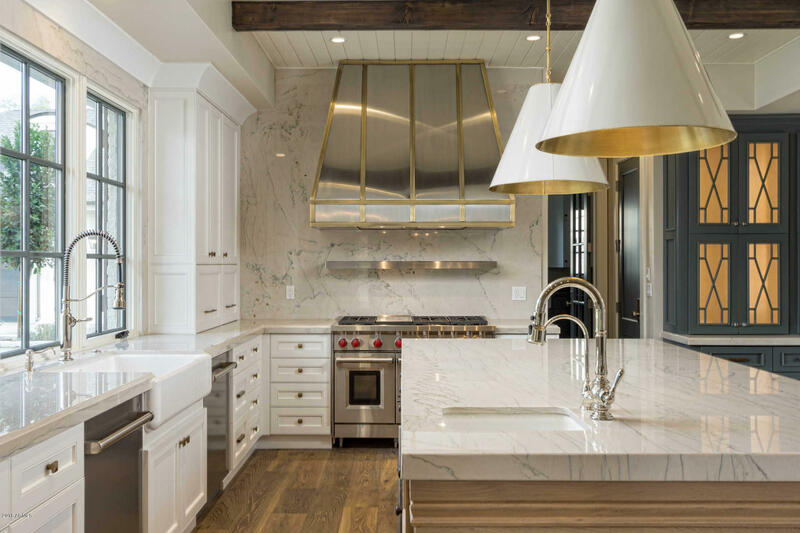 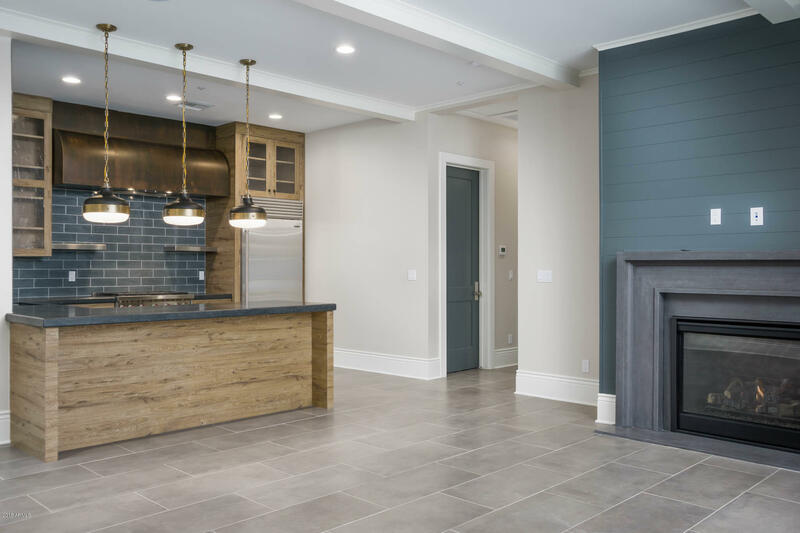 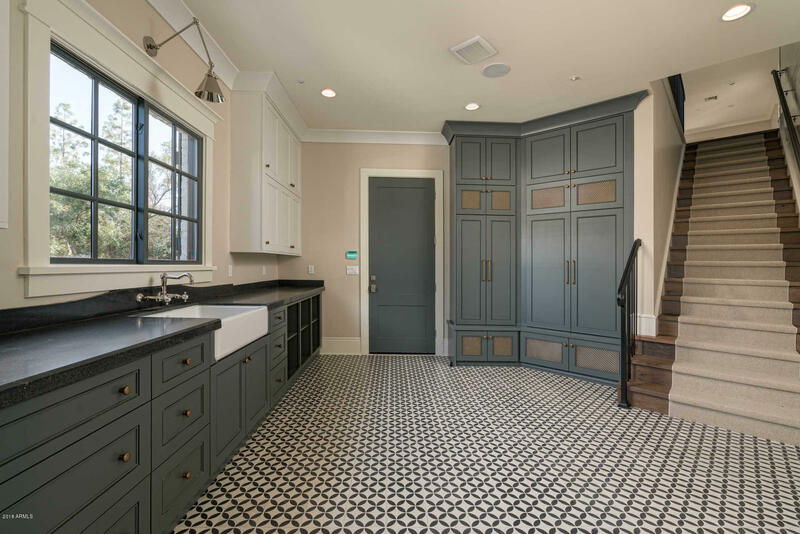 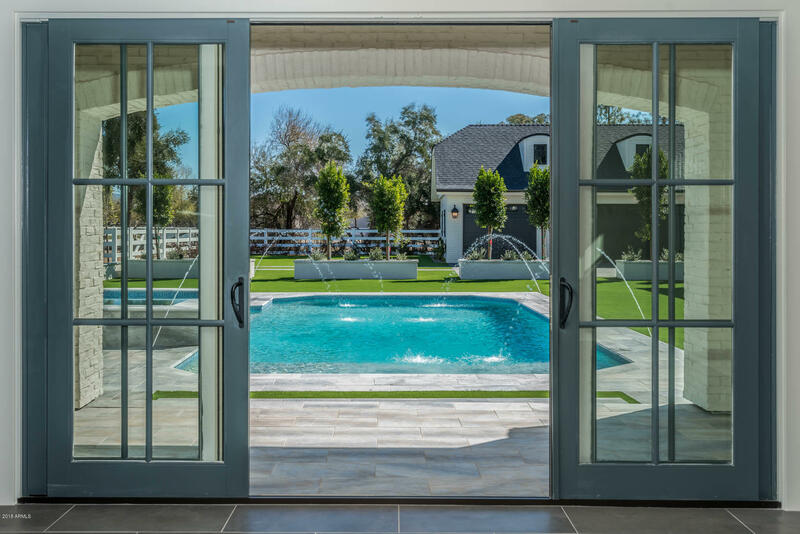 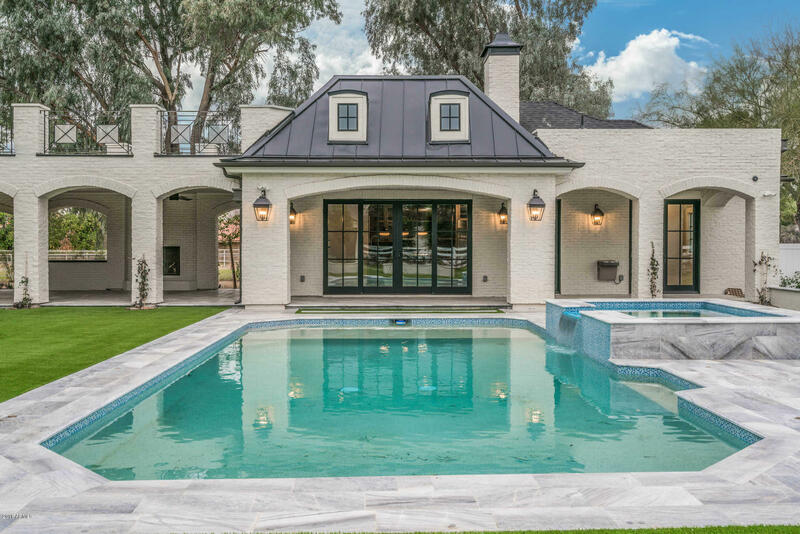 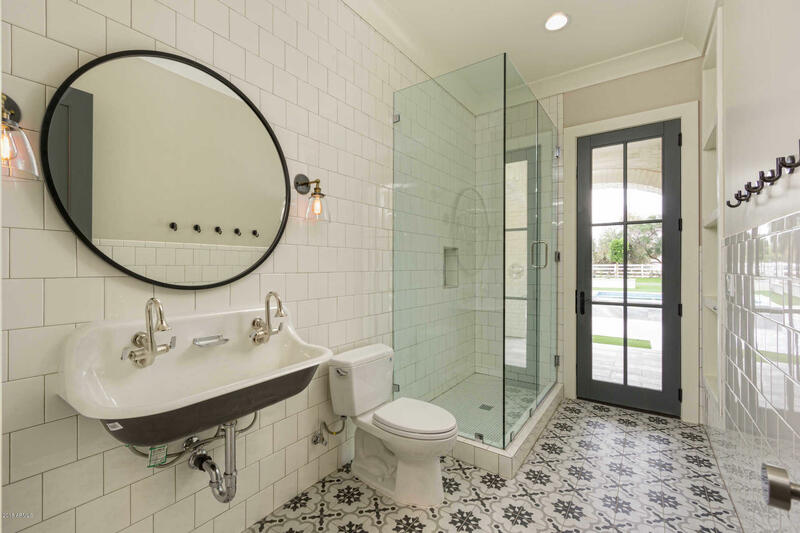 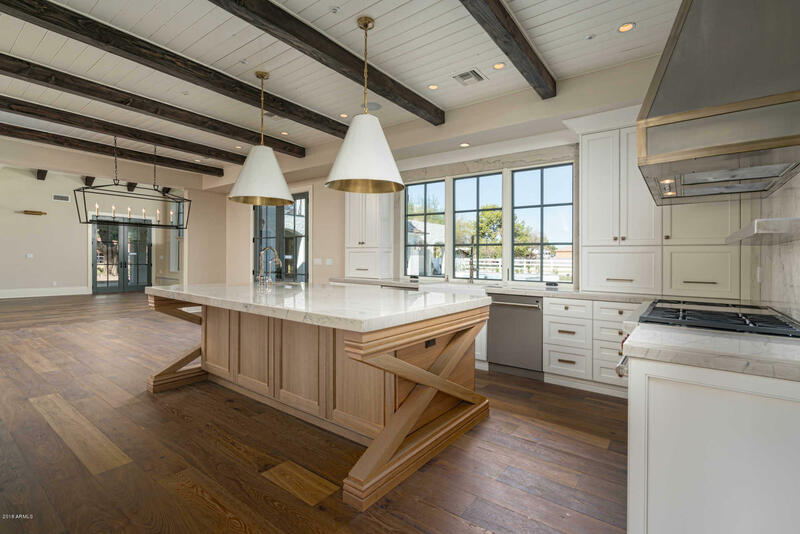 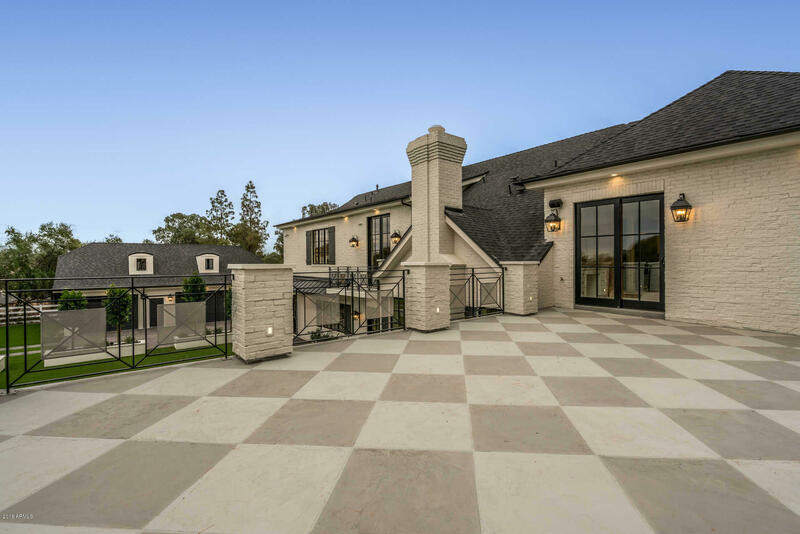 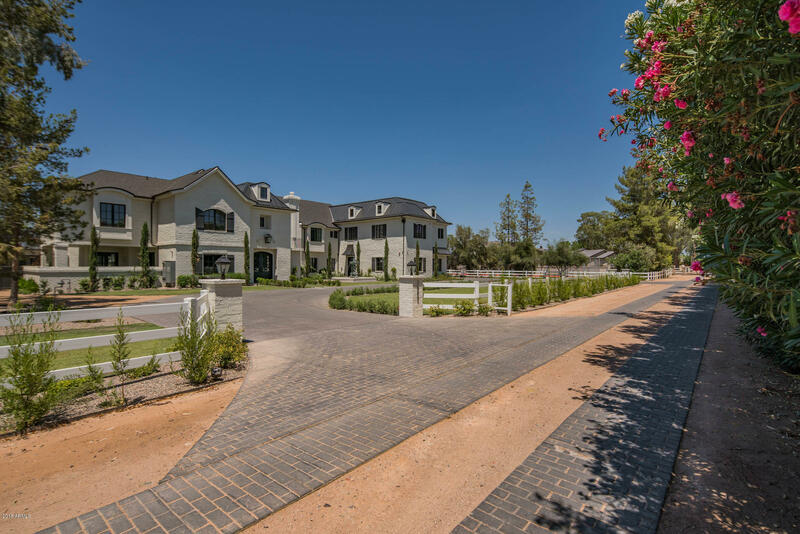 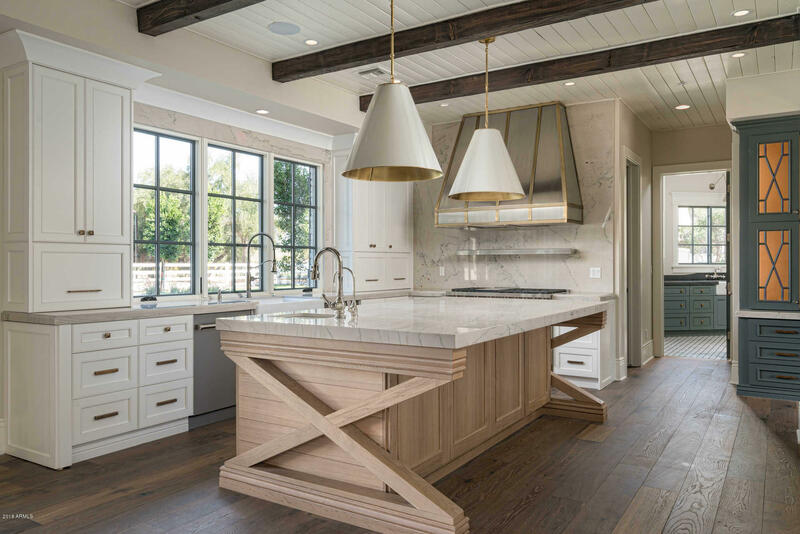 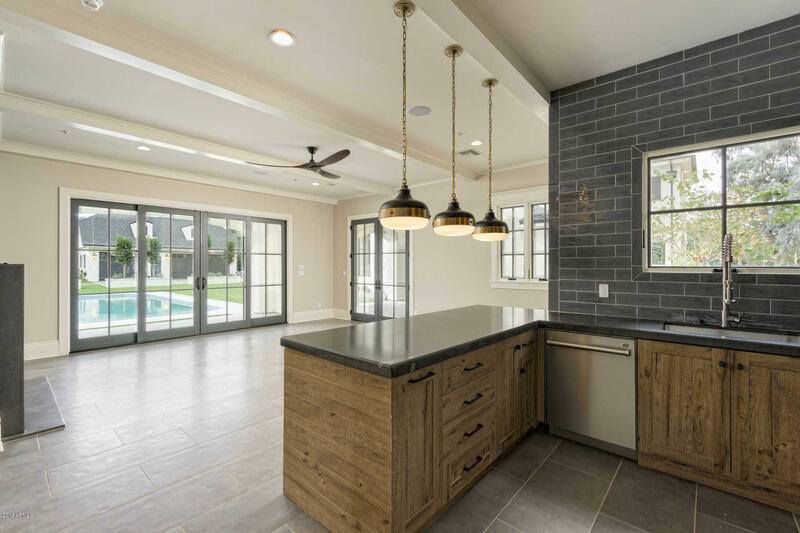 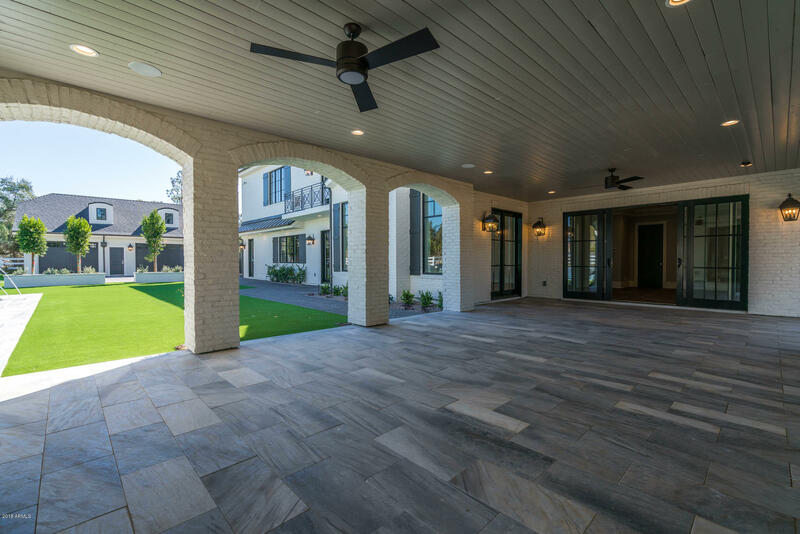 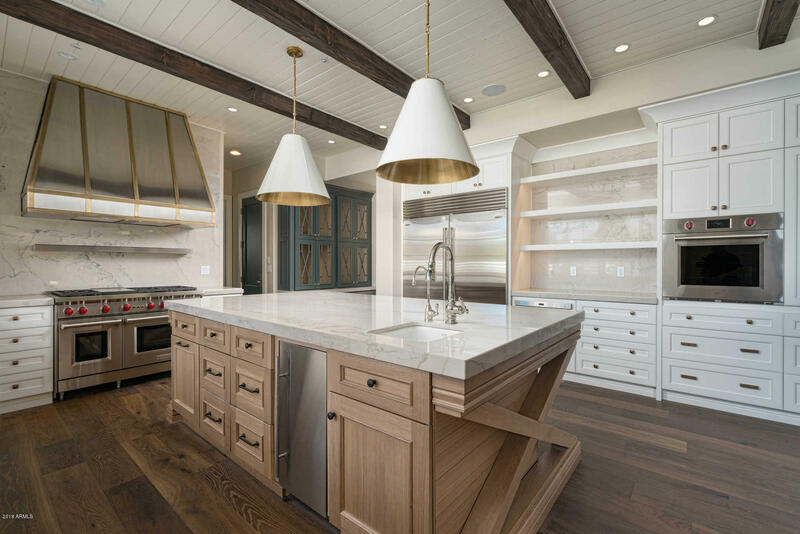 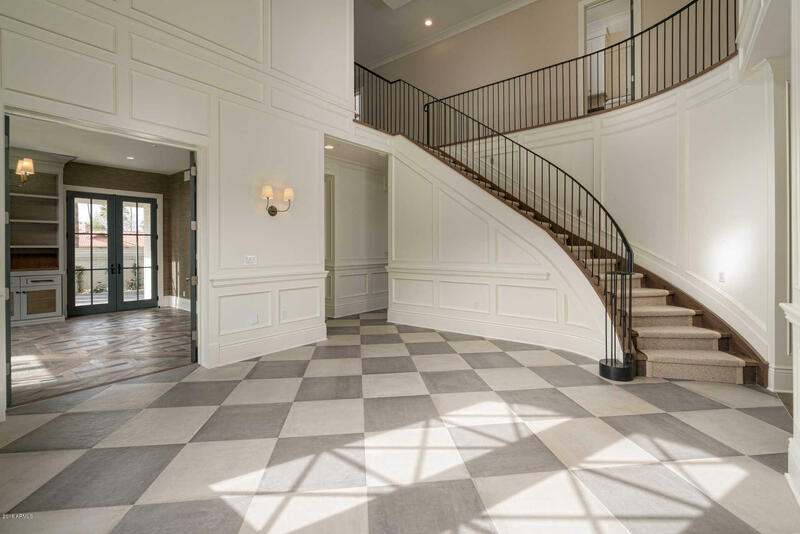 This European-inspired Estate is a blend of exquisite traditional and modern finishes with an open airy feel and an abundance of natural light. 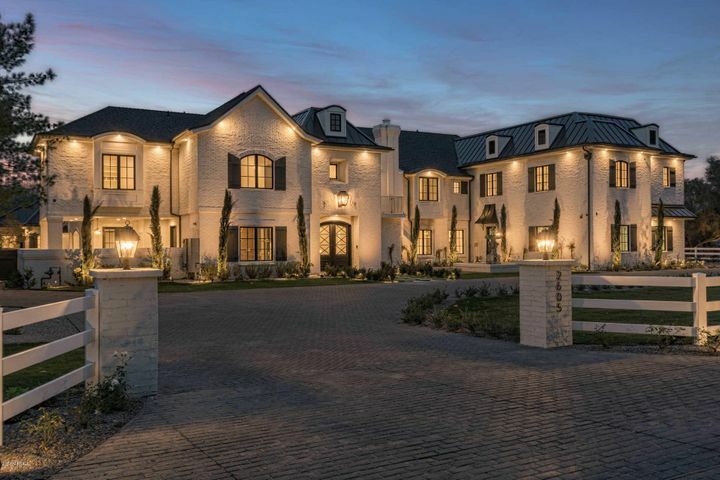 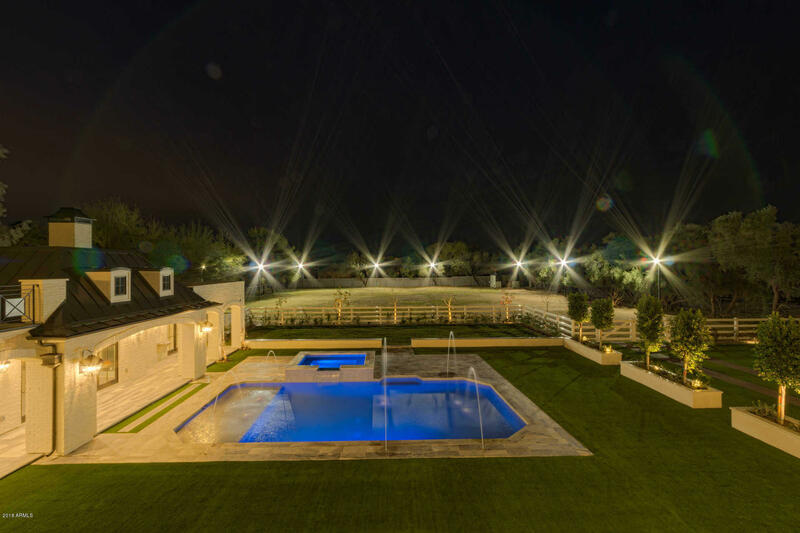 A magnificent property on nearly two acres, the estate includes six bedrooms and six-and-a-half baths, a grand entry hall, vast dining room, fabulous kitchen, office and library. 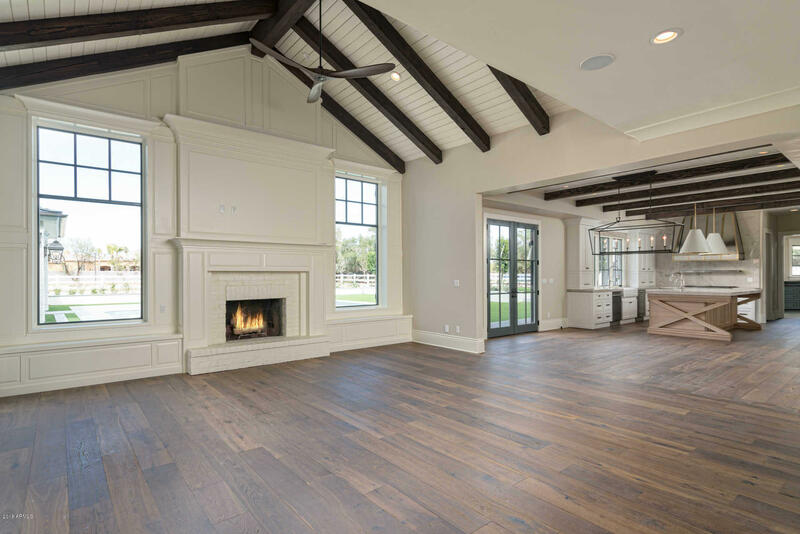 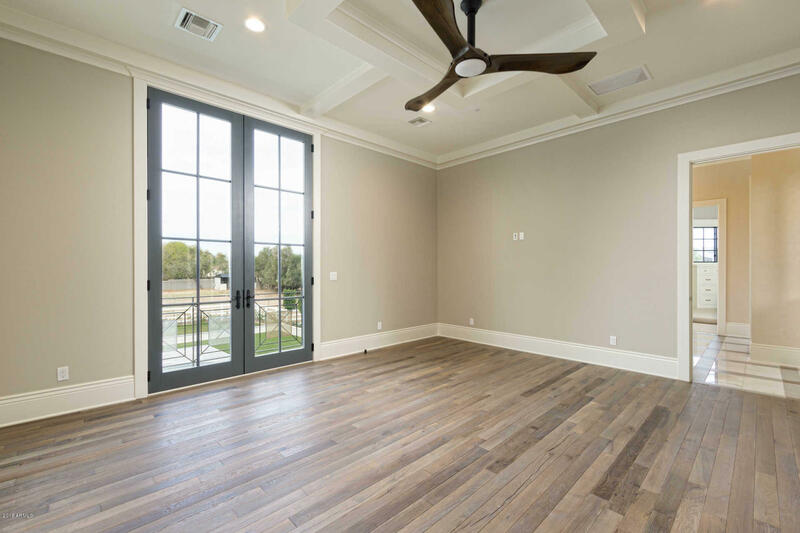 The generous rooms and grand floor plan create an easy flow for living and entertaining. 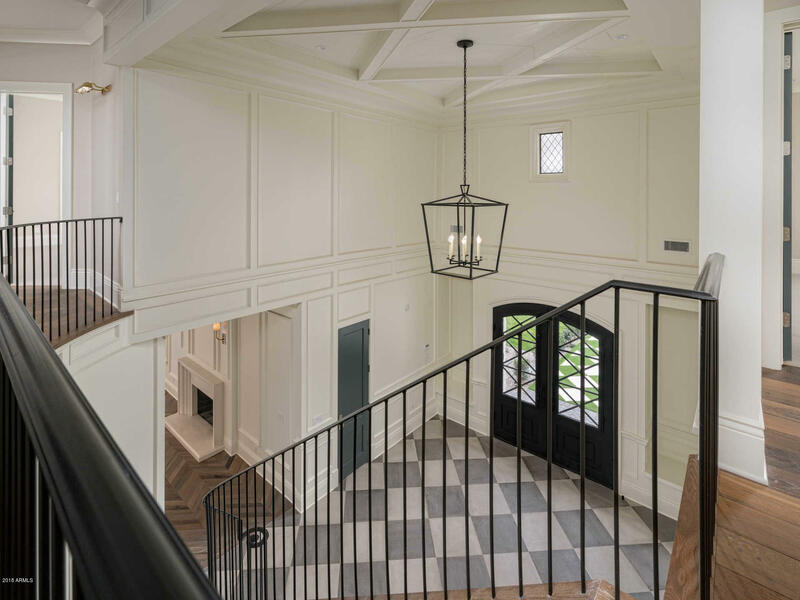 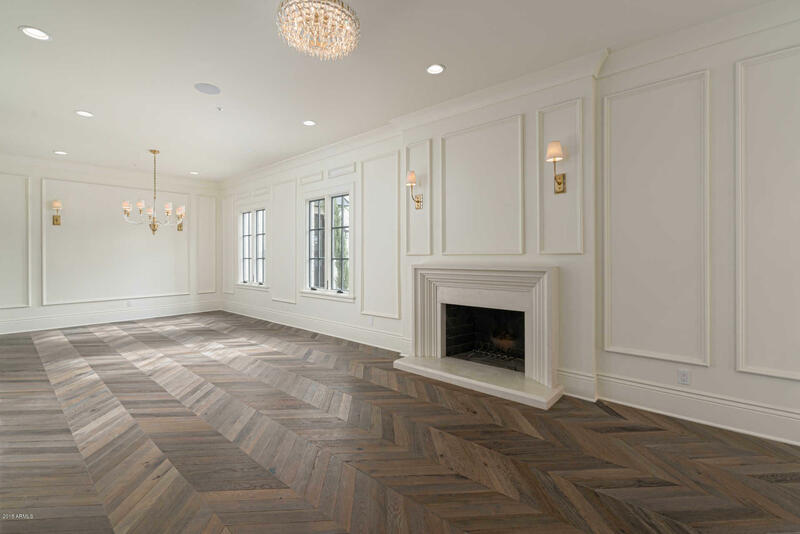 Interior features include wood beamed and planked ceilings, white wood clad walls and hand-laid European white oak flooring. 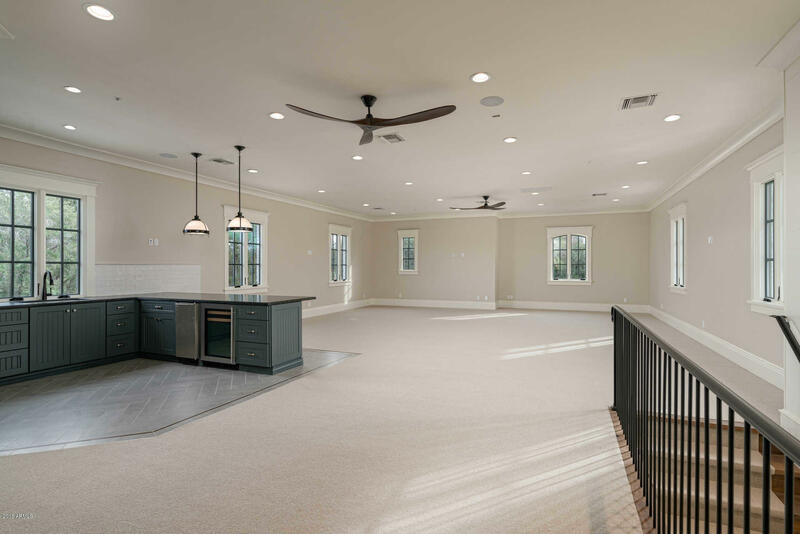 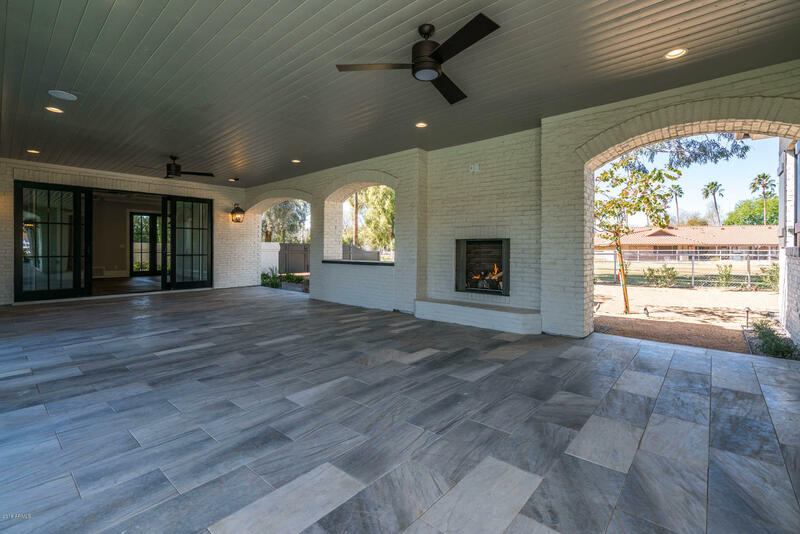 The covered breezeway with an intimate fireplace connects the main estate to the one-bedroom guest house with a full kitchen and great room. 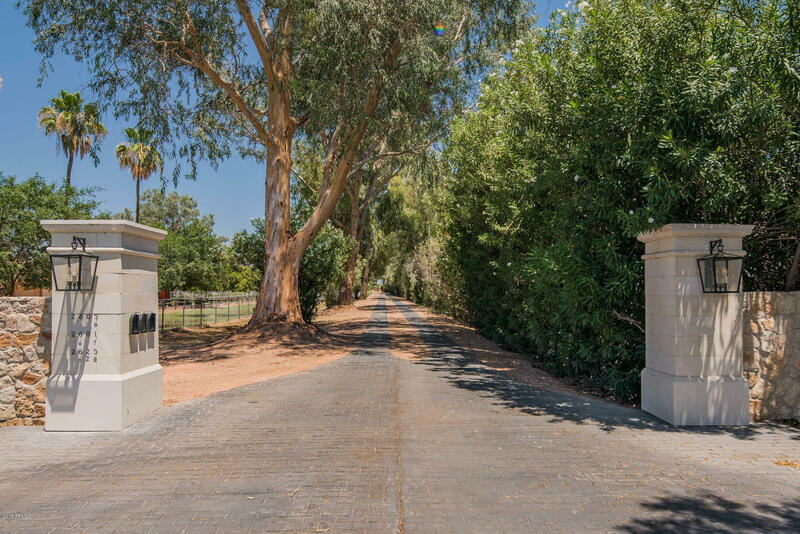 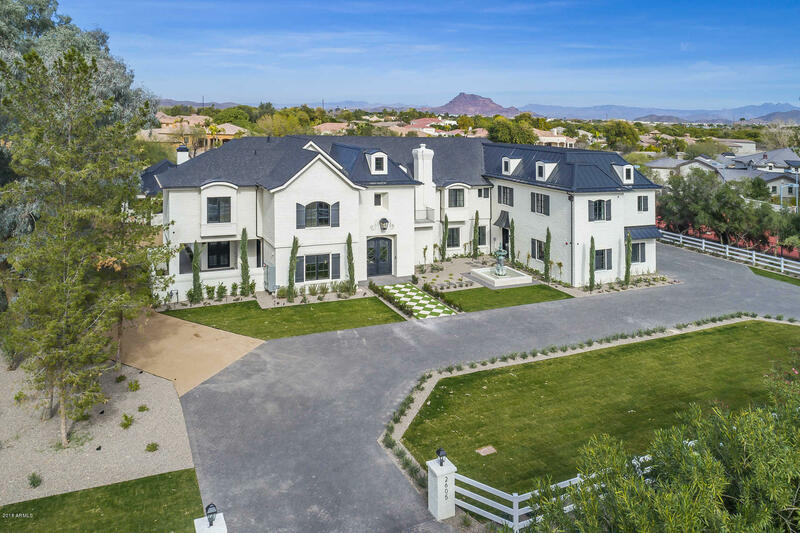 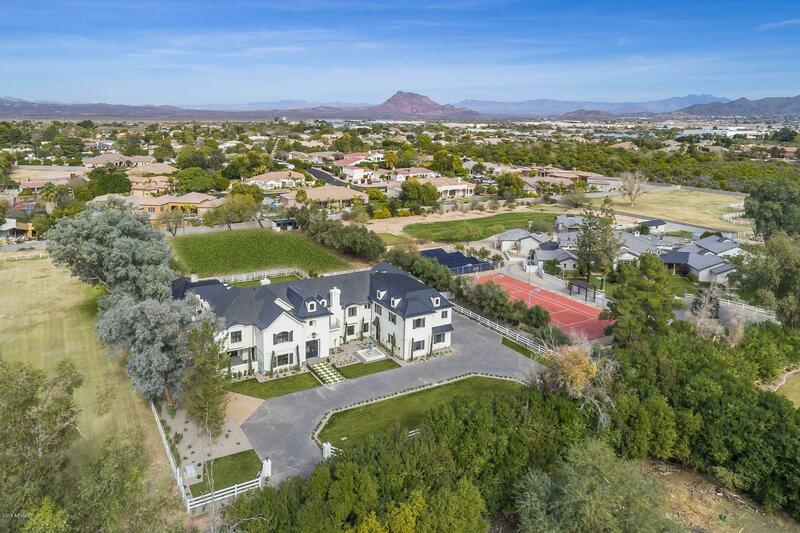 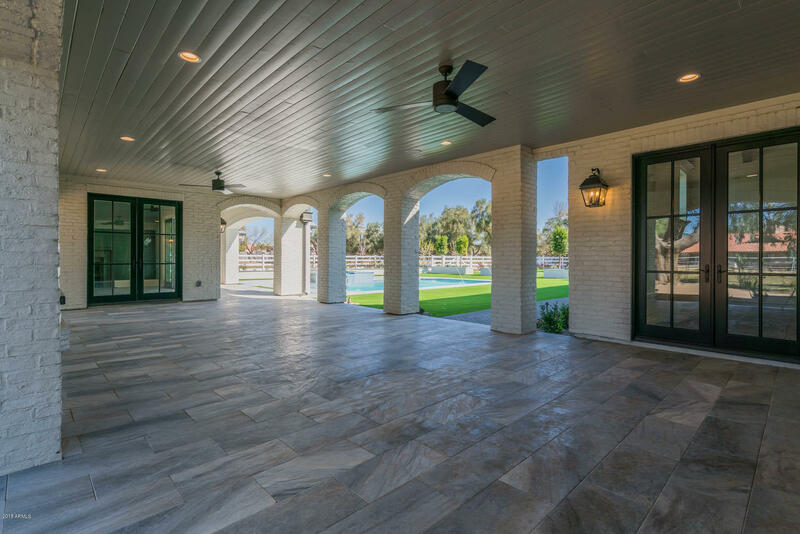 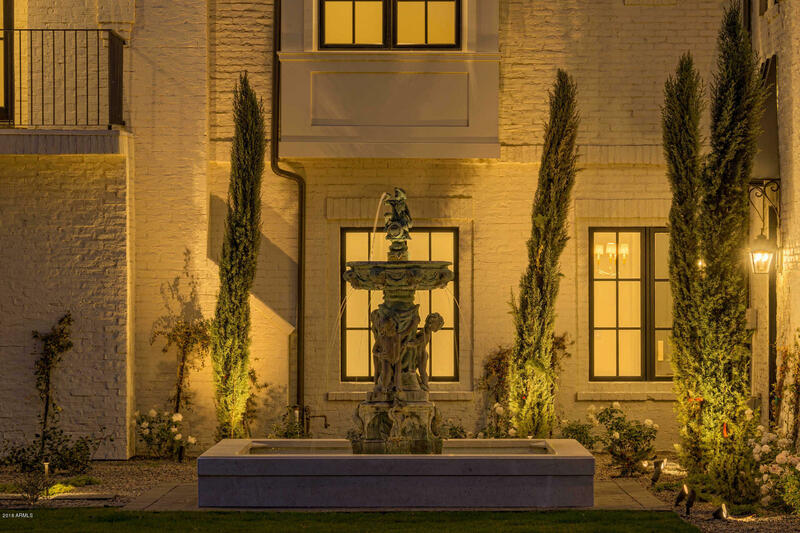 This imposing property teems with style, design and grand architecture, creating a new standard for Arizona living.